Nelenite: Mineral information, data and localities. In the type material, Fe substitutes for Mn up to 5.8 of the 16 octahedrally coordinated cations. Named in 1984 by Pete J. Dunn and Donald R. Peacor in honor of Joseph A. Nelen (28 Aug 1923 - 7 Jun 2005), chemist at the Smithsonian Institution, Washington, D.C., USA, for his contributions contributions "to the chemistry of minerals, in particular his analytical studies of the complex arsenosilicates of manganese which are found at Franklin and Sterling Hill." 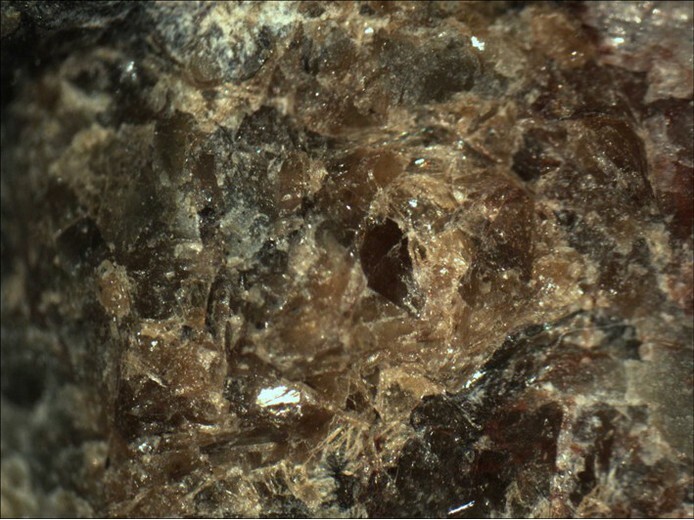 The material was earlier known as ferroschallerite. 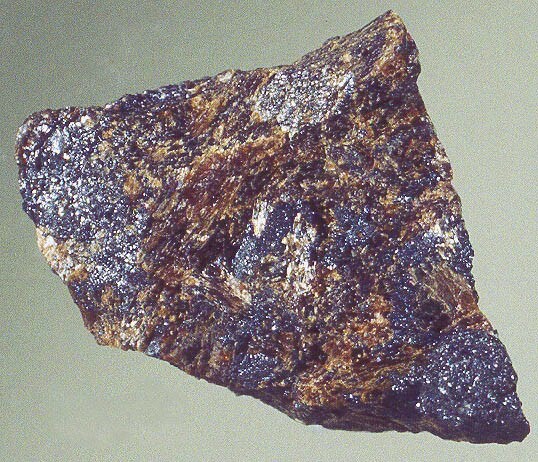 Cleavage plates are flat and highly lustrous, and it is this quality and appearance of the cleavage that immediately distinguishes nelenite from the other members of the friedelite group, which have cleavage fragments with slightly or grossly warped and curved surfaces. with e = colourless and w = light brown. Holotype material is deposited in the Smithsonian Institution under catalog no. C6219. Co-type samples are in the Smithsonian Institution under catalog no. R7824 and at Harvard University under catalog no. H 92791-a. Dunn, P.J., Peacor, D.R. (1984) Nelenite, a manganese arsenosilicate of the friedelite group, polymorphous with schallerite, from Franklin, New Jersey. Mineralogical Magazine: 48: 271-275. Calcite 8 photos of Nelenite associated with Calcite on mindat.org. Manganocummingtonite 4 photos of Nelenite associated with Manganocummingtonite on mindat.org. Quartz 2 photos of Nelenite associated with Quartz on mindat.org. Tirodite 2 photos of Nelenite associated with Tirodite on mindat.org. Franklinite 1 photo of Nelenite associated with Franklinite on mindat.org. Hematite 1 photo of Nelenite associated with Hematite on mindat.org. Rhodonite 1 photo of Nelenite associated with Rhodonite on mindat.org. Dunn, Pete J.; Peacor, Donald R.; Simmons, William B. (1984) Lennilenapeite, the Mg-analogue of stilpnomelane, and chemical data on other stilpnomelane species from Franklin, New Jersey. Canadian Mineralogist: 22: 259-263. Dunn, P.J. (1995) Franklin and Sterling Hill New Jersey: the world's most magnificent mineral deposits, Part 4: 480-481. 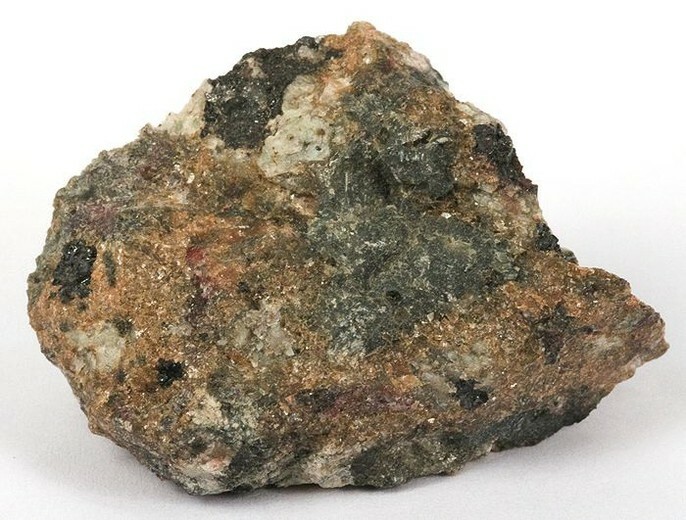 The following Nelenite specimens are currently listed for sale on minfind.com. 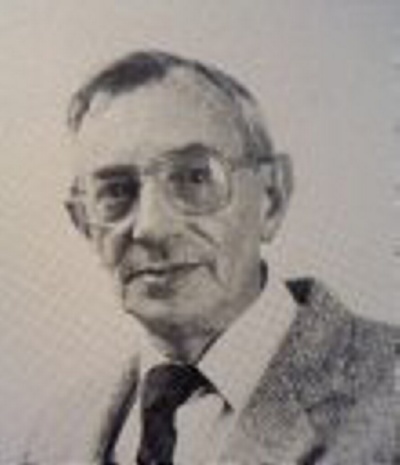 Dunn, P.J., et al: Canadian Mineralogist:22:259-263 (1984); Dunn, P.J. and Peacor, D.R. : Mineralogical Magazine:48:271-275 (1984); Dunn(1995):Pt4:480-481.